Classic Wayfarer Shaped Wing Tipped Retro Plastic Trend. 80's Design With Silver Accents. 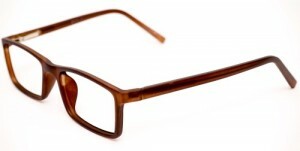 Simply The Most Notable Shape In Eyewear History Dating Back To 1950's Hollywood Fashion. Matte Plastic Material Provides A Non Gloss Subtle Look.